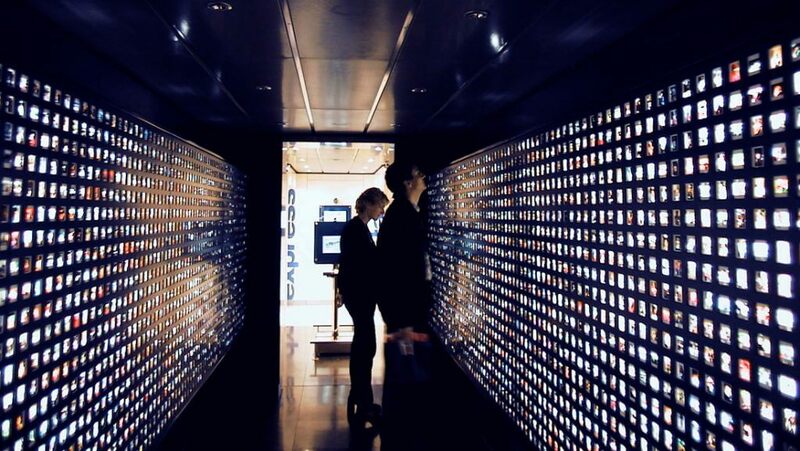 European brand campaign, a glance into the future, interactive experience – the “Opel Millennium Express” was one of the most sensational communication initiatives on the cusp of the new millennium. 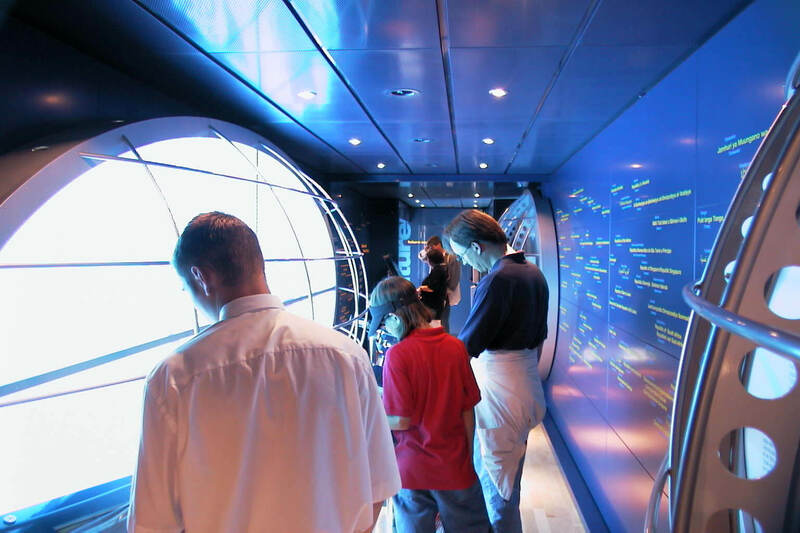 In 1999 and 2000, the first exhibition train by an automaker (and the first European show train ever) traveled through 12 countries – from Germany, across the Iberian peninsula, Belgium, France, Italy, Switzerland and Austria to Central Europe. 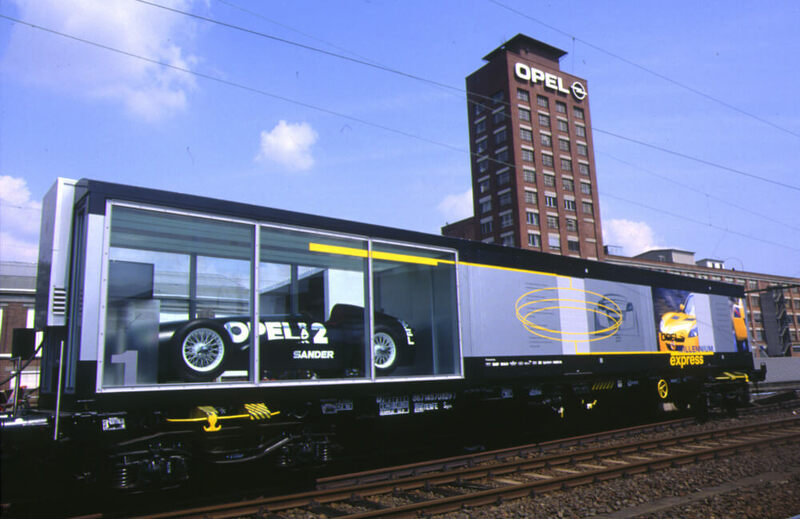 The occasion was the 100th anniversary of the start of Opel vehicle production. 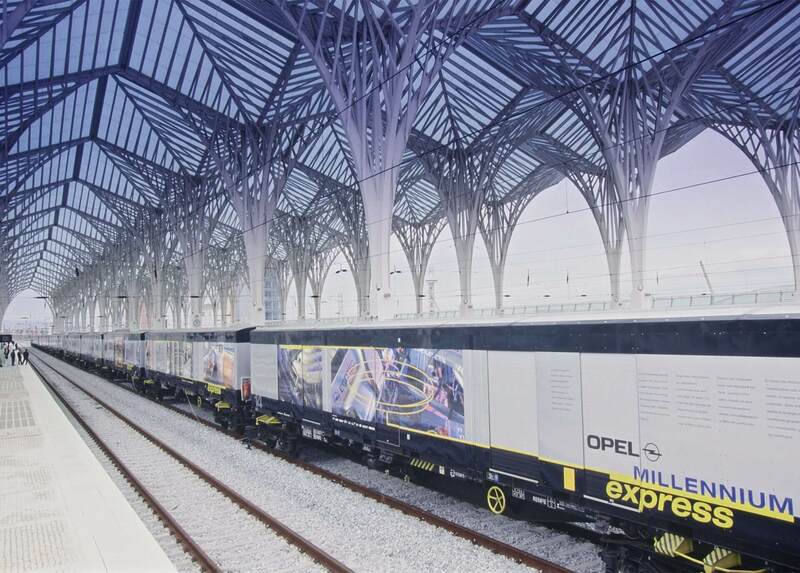 The “Opel Millennium Express” was, nevertheless, not a retrospective. 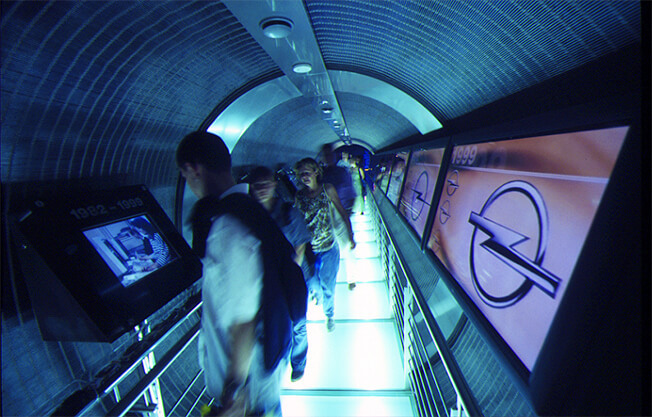 On the cusp of the 21st century, the 280 meter long train provided almost 700,000 visitors at 38 central stations with a fascinating glance into the future of vehicles, traffic and mobility, while powerfully communicating the technical expertise of the Opel brand. Honored with “Golden World Award” from the International Public Relations Association (IPRA) and a gold “EvA” from the Forum Marketing Eventagenturen (FME). 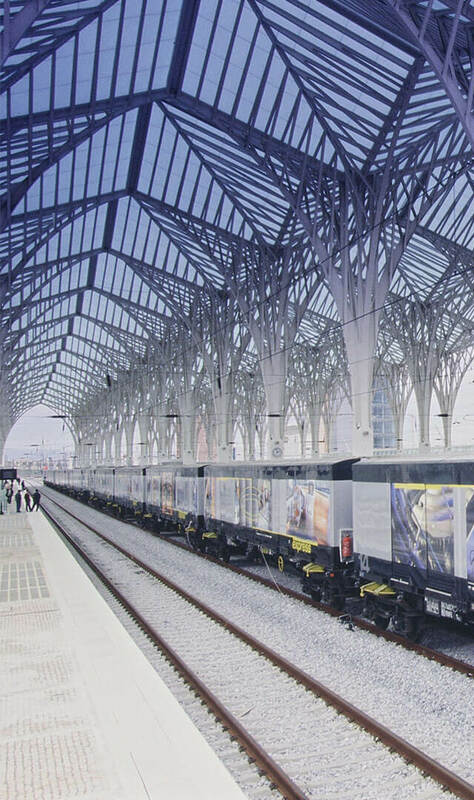 In planning and designing the train, developers broke new ground in several fields. 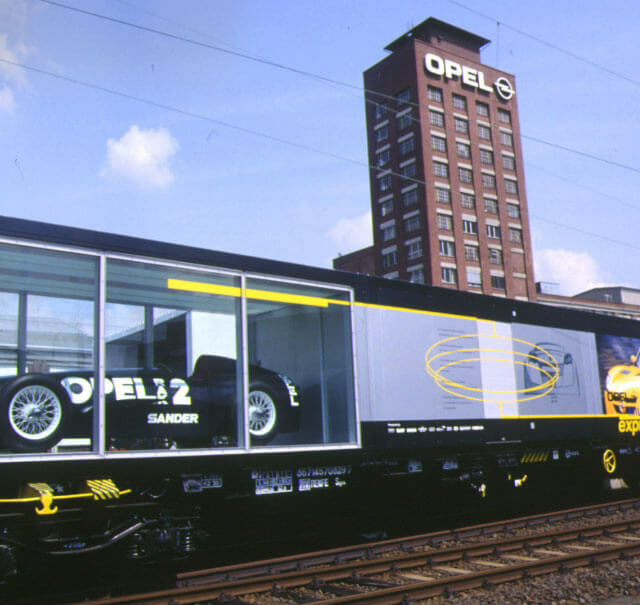 A number of glass wagons are particularly spectacular, exhibiting for example a reconstruction of the Opel rocket car ‘Rak 2’ and the new ‘Roadster’. 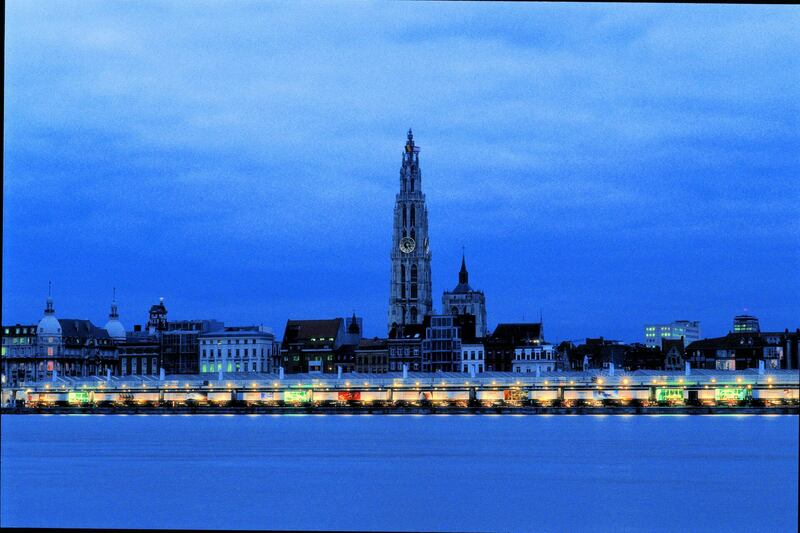 Most of my pride, admiration and gratitude goes to your organisation, which has made this dream concept become reality.